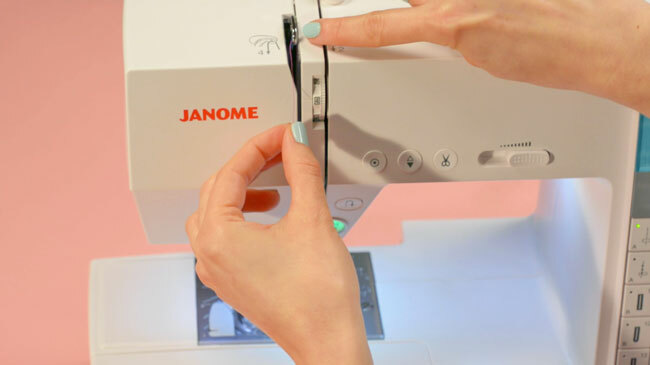 Machines vary, so some of the parts on my machine (a Janome DKS100) may be in different positions to yours, but nothing will be that different that you won't be able to work it out. Ready to sew? Let's go! 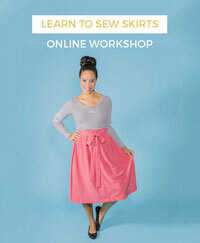 This is an extract from our 'Make Friends with a Sewing Machine' online video workshop. Enter code EASTERSEWING at the checkout to get 30% off. Sale ends Monday 22 April midnight BST. See below for picture steps if that's more your thing! A sewing machine uses two sources of thread – the spool (or reel) of thread that sits on top of the machine and the bobbin of thread that comes up from below. 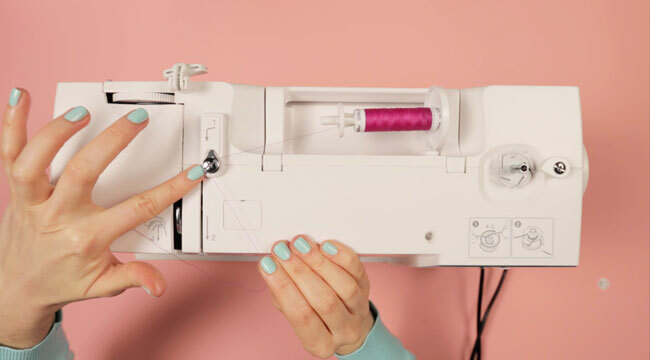 You buy the spools of thread in the shops and the bobbins come empty – so before threading the machine, you need to get some of your chosen thread off the spool and onto the bobbin. Place the spool of thread onto the spool pin (the prong sticking out the top of your machine). Some spool pins stick upwards, others stick out towards the left and have a plastic cover to hold the spool in place. The thread should be coming out from behind towards the left if the spool pin is sticking up, or over the top towards the back if the spool pin is on its side. Who doesn't love that satisfying "pop" sound as they close a snap on a beloved piece of clothing? I know it can't just be me. However, the prospect of inserting snaps can be a little daunting and intimidating as there are a few elements and tools involved to get a nice finish. 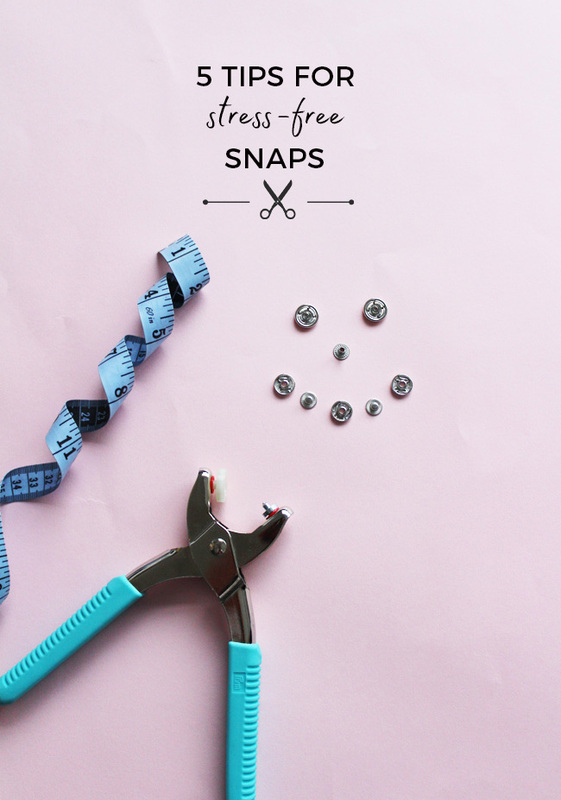 It's Nikki here, Product Manager at Tilly Towers, and I'm here with some top tips to assist with stress-free snap insertion. So without any further ado, let's talk snaps. A "snap" is a type of fastener which connects two pieces of fabric together by connecting two interlocking discs. They are also known as studs or poppers and can be made in either metal or plastic. 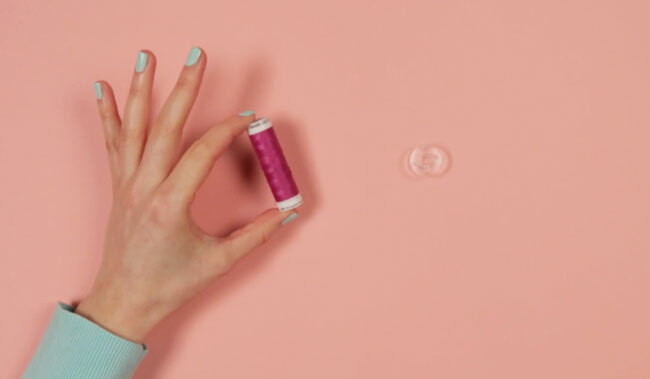 If you want a bit more info about the different types of snaps out there, Closet Case Patterns have written an excellent post which explains the difference between "ring" and "spring" snaps. 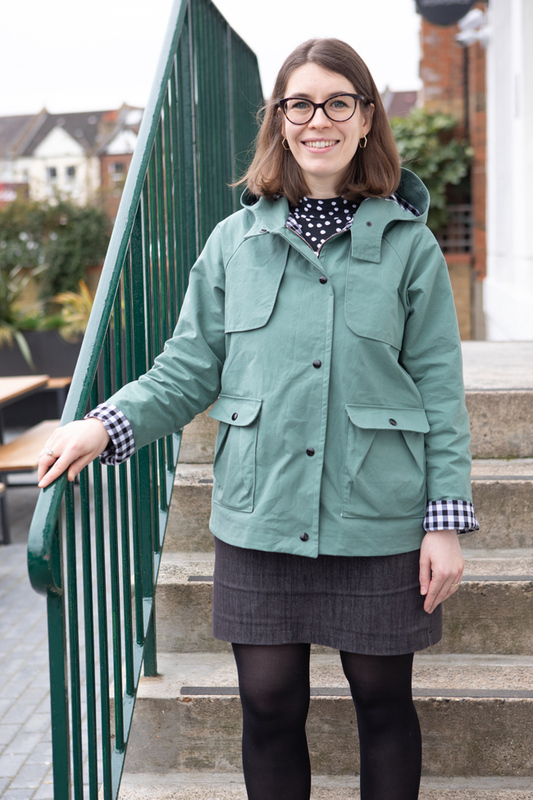 The pictures I have included here are of spring snaps, specifically Prym 15mm anorak snaps (this is an affiliate link). They are my favourite kind of snaps and I've used them on both jackets and skirts. 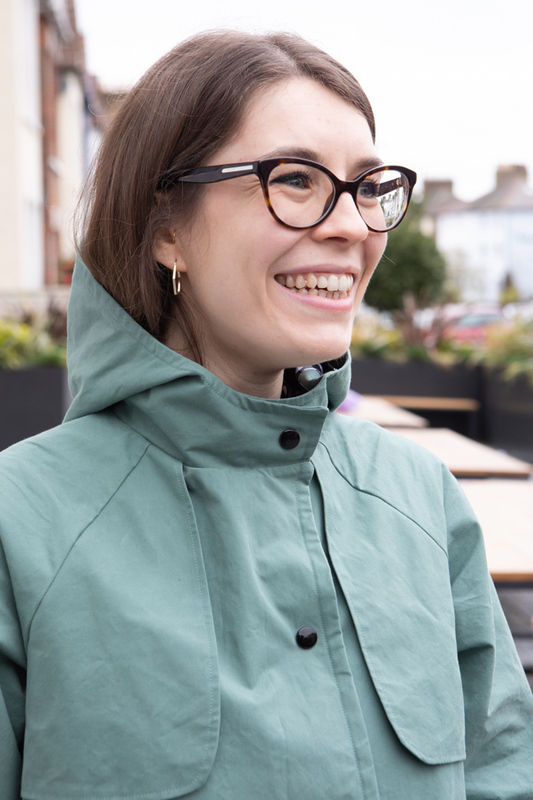 Our latest pattern, the Eden coat or jacket, has the option of using snaps, and I love how they look on a bright jacket. And, they're fun to insert once you know how! 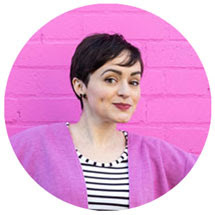 So without further ado, read on for my top tips for stress-free snaps. 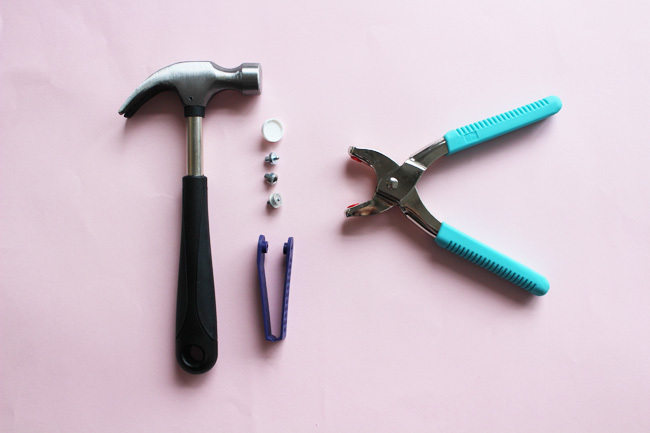 You can install snaps in a few different ways - either with a good old fashion hammer or a specialist snap tool. Both methods will get the job done and it's not necessary to buy a special tool if you don't think you'll be inserting snaps often into your projects, or if your budget doesn't allow it. However, it is significantly easier to use a snaps tool and I'd thoroughly recommend investing in one if you see a moderate amount of snaps installation in your future. It also has the benefit of being a lot quieter. 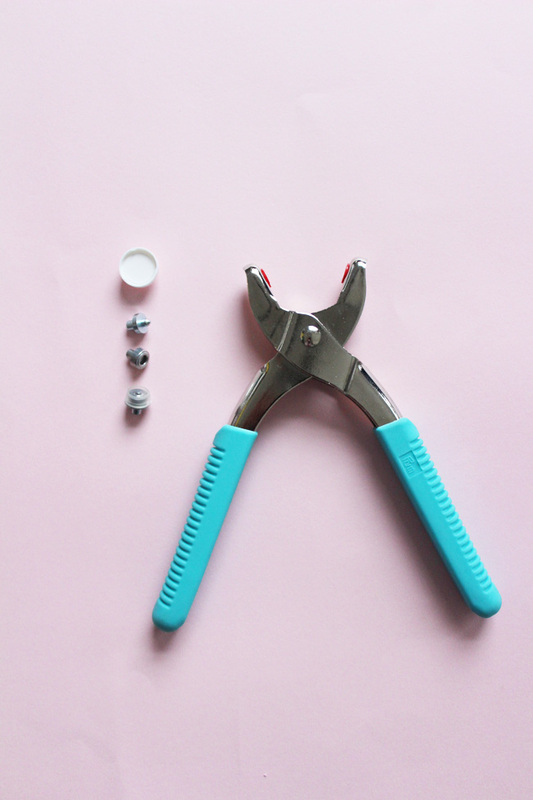 In the studio, we use the Prym Vario Pliers, which can be used for attaching both snaps and jeans buttons - win! Do you ever make something that you love so much you can’t stop showing it off to every person you meet? 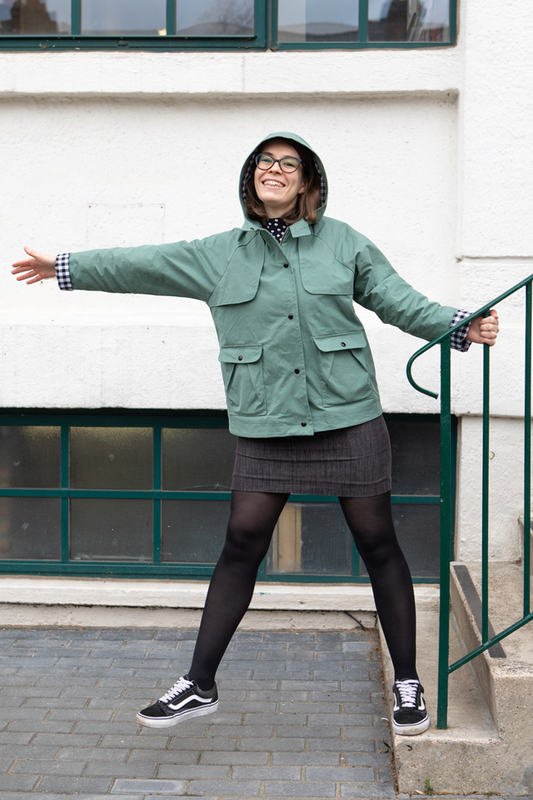 It’s Nikki here, Product Manager at Team Buttons, and that’s how I feel about my Eden jacket. I finished mine a couple of weeks ago and I’ve worn it nearly every day since. It’s true love. 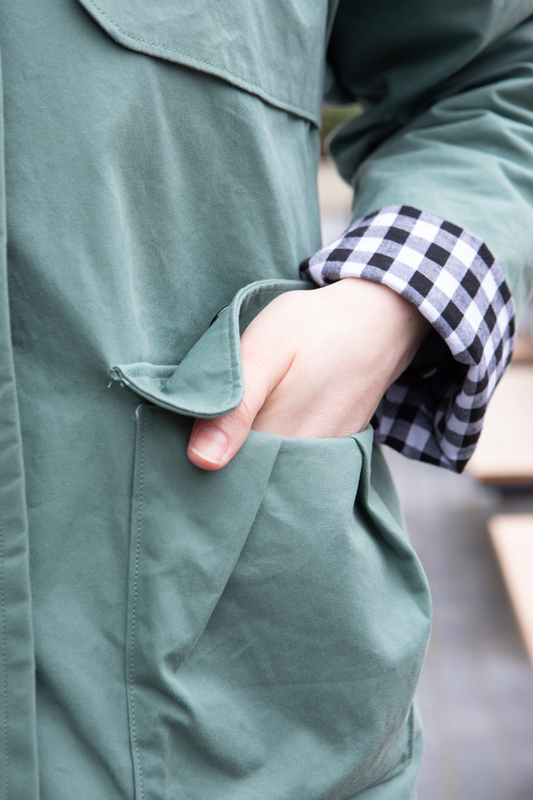 I knew I wanted to make a short Eden version in something water resistant, so chose a beautiful sage green dry oilskin from Merchant and Mills for the outer fabric. When I first bought it the fabric felt really stiff, almost a bit like cardboard, and I’d certainly not handled anything like it before on my previous sewing adventures. I was a bit nervous about how my machine would cope with such an unusual fabric, however, I needn’t have worried as it was a dream to sew with. I followed Tilly's advice and used a microtex needle and used fabric clips instead of pins and the whole experience was rather enjoyable. I’m so impressed with it! I love how you get a little peek of lining at the cuffs and inside the hood on the Eden so I wanted to line it with something a bit jazzy. 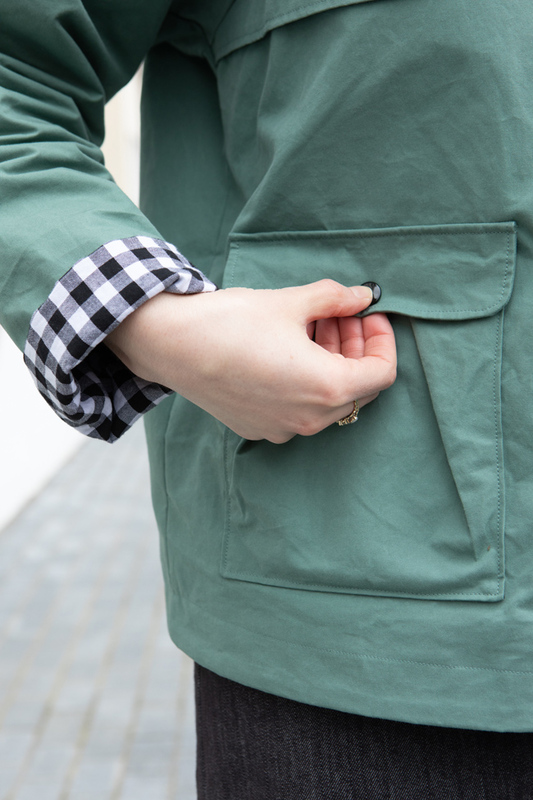 I am obsessed with gingham at the moment (I mean literally obsessed) so I lined it with a black and white cotton gingham from Bloomsbury Square Fabrics. I also chose to line the main part of the sleeves in a black acetate lining fabric to make them slippy enough to get my arms in easily.